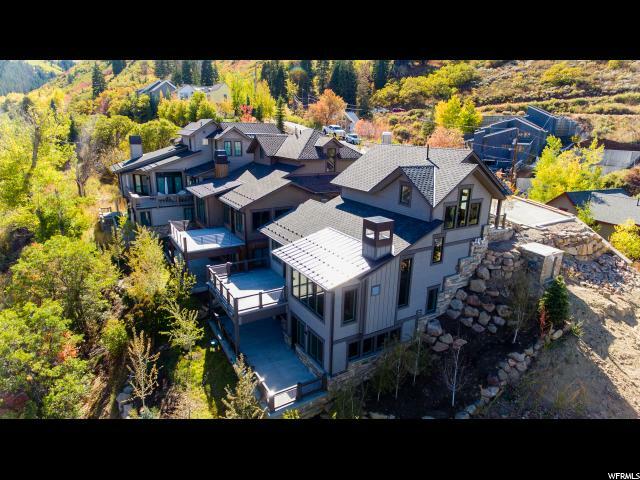 All KING RIDGE ESTATES homes currently listed for sale in Park City as of 04/18/2019 are shown below. You can change the search criteria at any time by pressing the 'Change Search' button below. 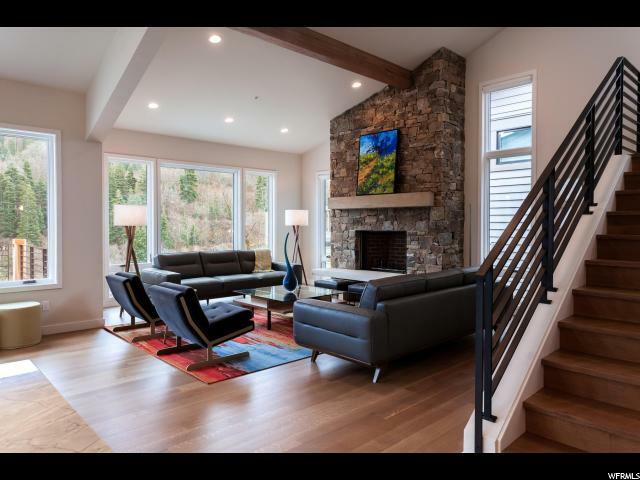 "This home's many windows provide picturesque down-valley views of twinkling Old Town below and tranquil uninhabited mountain-side views to Deer Valley above and allow for an abundance of natural light throughout. The impressive great room features a vaulted ceiling and wood burning fireplace and openly flows into the dining area, kitchen, and a large patio perfect for entertaining and enjoying the views. The chef's kitchen is equipped with high-end fixtures and appliances including a wine fridge. Ride the elevator down to the cozy family room (or fourth bedroom) and luxurious Master suite, both with their own fireplace and access to a second expansive patio. The lower level also has a guest bedroom and full bath as well as laundry. Radiant heat throughout the interior and exterior- driveway, pathways, decks, and road. With its close proximity to Main Street as well as Park City's resorts, you have quick and easy access to all the activities that Park City has to offer. This is the property of your dreams! " "This masterfully built home situated on Ridge Avenue has expansive views from Empire Canyon to Main Street. Situated on a quiet road where you can experience tranquility in the heart of Old Town. Walk to Main Street to enjoy the restaurants and shops. Hiking and biking trails are easily accessed from the house. Enjoy drinks on the decks with views that you dream of. The family room has potential to be a fourth bedroom. A few of this home's many features include radiant heat on all levels- both interior and exterior surfaces, air conditioning, and an elevator to all levels. The street is heated with a separate boiler that is managed by the HOA. "